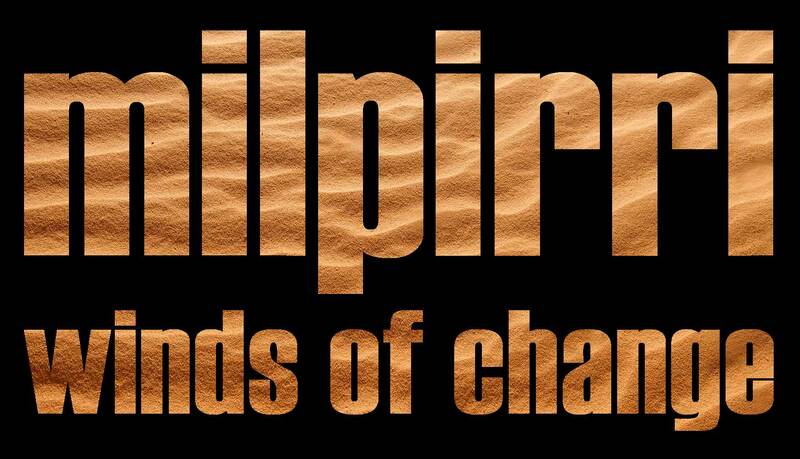 Milpirri: Winds of Change premiered on NITV (National Indigenous Television) in November 2014. Educational institutions can download the film from Enhance TV, with all royalties going to Warlpiri Media. A complimentary study guide is available here. “This is a must see film with great insights about how a remote community is squaring up to the 21st century”. The documentary follows the creation of the 2012 event, and offers an intimate insight into this remote community. 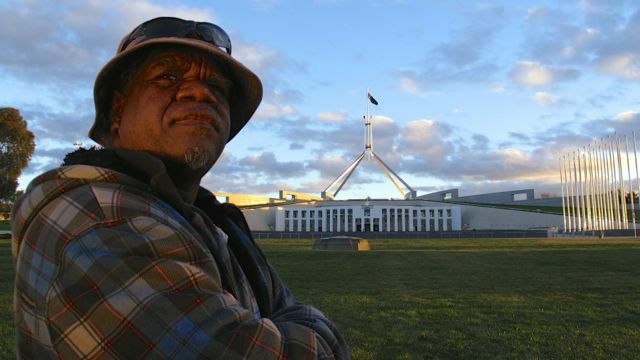 Wanta Jampijinpa Patrick, Artistic Director of Milpirri and Co­Director / Narrator of the documentary, sees the festival as a model for education: Milpirri is education in action – it is extraordinary and sometimes controversial and is produced by a courageous community. Milpirri celebrates law, family, language, ceremonies and, most importantly, ngurra – home. Designed by the Warlpiri community, it was born from the tragic realisation that the youth were losing direction, community stories were not being shared and interest in learning and education – both mainstream and Indigenous – were decreasing. 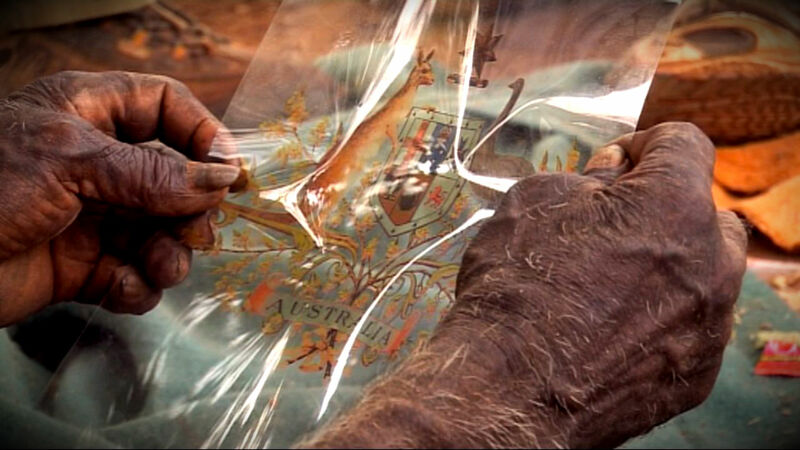 Wanta and the Lajamanu community have drawn inspiration from the country's traditional stories to create Milpirri. Just as the Milpirri clouds result from hot and cold air clashing together, the event brings the community together – Indigenous and non­Indigenous, black, white, old, young, modern and traditional. 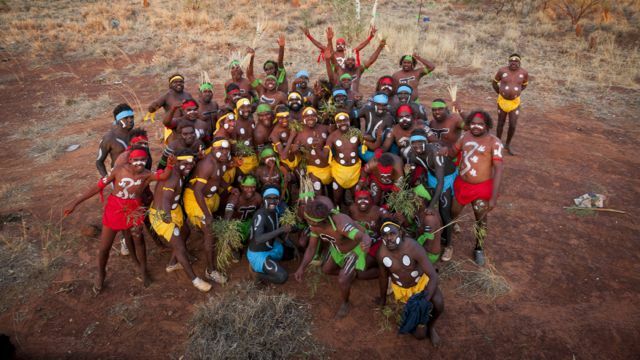 The community work with Tracks Dance, from Darwin, to bring ceremony and theatre together. The Elders of Lajamanu record old songs that are mixed with new songs from the youth of Lajamanu. The Lajamanu youth interpret traditional stories in hip hop dance and then watch the adults perform the traditional way. Stories from the different family groups are learnt and retold in huge painted banners that surround the stage for the stunning final performance. 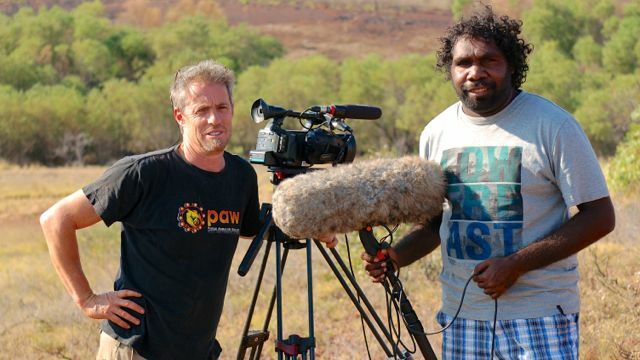 The documentary itself is an example of Milpirri – a co­Production between PAW (Pintubi Anmajerre Warlpiri) Media and People Pictures in Victoria. Wanta worked closely with independent filmmakers Stewart Carter and Cath South to write and direct the documentary. "We are always doing Milpirri!" was a much-used phrase during production. Co-Director Stewart Carter and Sound Recordist Maxwell Japanangka. 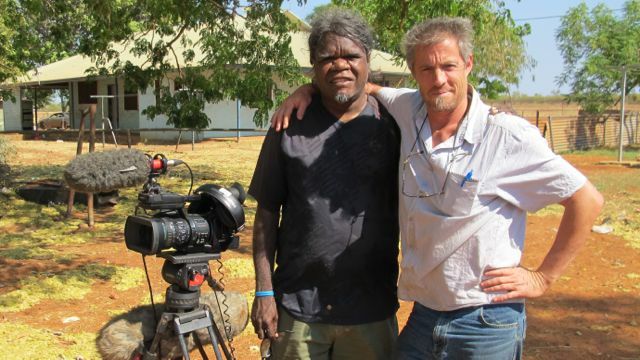 Co-Directors Stewart Carter and Wanta Jampijinpa. "Many old people die with libraries in their heads and it is a tragic loss of this country’s intellectual treasure. Increasingly, there are less young people able to make the commitment to acquire this knowledge and less elders that are able to pass it on. Your film shows a community grappling with these difficult issues and coming up with a compromise that preserves some traditional elements and innovates bravely in order to provide a relevant conceptual and educational dynamic that is healing for yapa and kardiya." Neil Murray - poet, musician and songwriter.